As we head into autumn, the weather gets colder and our wardrobe begins to change. 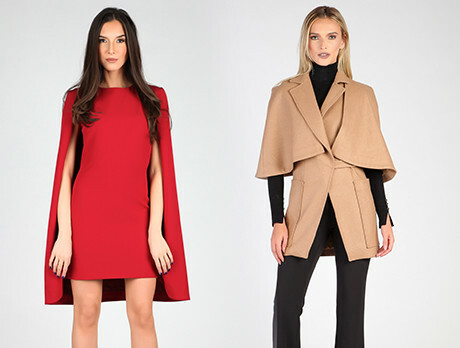 Give your ensembles a seasonal update with one of the hottest trends for AW18 - the cape. Our collection features jumpsuits, dresses, blazers and coats with a draped style that will become a firm favourite in the fashion sphere. You'll nail the look that will take you well into winter.